Three Junior League of Virginia Beach-Norfolk members attended AJLI’s Organizational Development Institute in Orlando this past February, which focused on “disrupting convention” as members learn more about AJLI, connect with other JL members, and work and learn together to create a vibrant future for our Junior League. The opening plenary was led by JuWon Choi, which touched on all of AJLI’s initiatives to improve community impact, membership retention and engagement, and league operations in order to promote stronger, more vibrant leagues. Renee Britton attended the membership track, titled Creating Tomorrow’s Community Leaders led by Amber Levy, AJLI Director of Membership. The membership track focused on the membership rollout within four components of the membership model, which focuses on shifting the membership paradigm to a member centric engagement model. 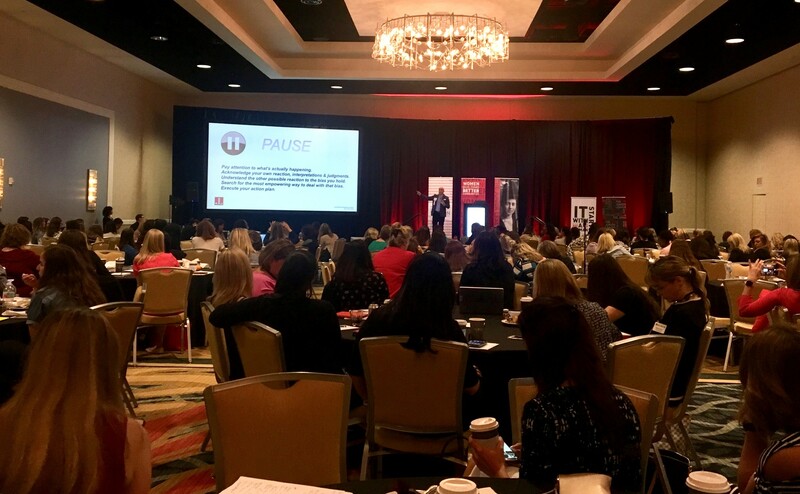 The four components of the membership track included recruitment and communication strategies, member retention framework, increasing engagement, and delivering on the Junior League promise, including learning and development. The membership rollout model has not completely been implemented in JLNVB yet; however, JLNVB has begun implementing components of the membership rollout, including the diversity and inclusion initiative. It was encouraging to note that JLNVB has taken the next step to ensure implementation of this initiative in our league, and to ensure that we are representing the entire community in which we are a part of. Additionally, the membership track included many different components of how to implement the D&I initiative within all components of membership. These trainings provided clear and succinct directions to promote consistency, continuity and effective implementation of initiatives to create positive impact within our league, which JLNVB can make immediate impact in conjunction with our diversity and inclusion initiative. Stephanie King attended the Building Internal Capacity: Strengthening Your League’s Operating Infrastructure track. Over the course of this track she learned of ways to improve our internal control and risk management for the league, through policies and communications. She also discussed how important it is to view the league as a business and reviewed the league’s 990 Tax Exempt Status to ensure it was completed correctly. On the last day they reviewed human resources policies and procedures and Stephanie compared them to the ones in place for the league’s employees. Stephanie plans to utilize the insights and ideas she gained from her training in role as Treasurer next league year. 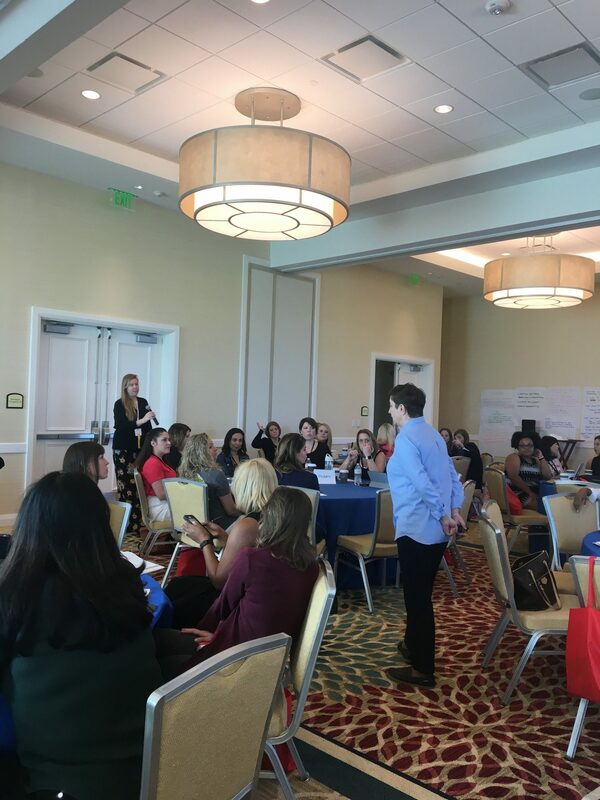 Children’s Initiatives Chair, Jillian Goodwin, attended the Community Impact track, titled Achieving Community Impact: Creating Lasting Changes for Healthier Communities led by AJLI Director of Programs Janine le Sueur. The track focused on the Transformation Rollout and Issue-based Community Impact. The sessions started from square one of the rollout, with the theory of change and the decision making process of IBCI all the way to the developing programs and implementation. Because JLNVB is already more than halfway into their community impact rollout, the early sessions served as a reassurance that our decisions and processes thus far have been sound and effective. The third and fourth sessions, which focused on programming and implementation, were very helpful and provided immense knowledge to be utilized as JLNVB continues their IBCI rollout. Janine had all the delegates sitting by signature issue so Jillian had the opportunity to network with several other leagues that focused on literacy and childhood education, including several very large leagues such as JL Washington, JL Tampa Bay and JL Jackson, MS. It was inspirational to hear what incredible work the large leagues do on this issue. The biggest takeaway for Jillian was understanding that Direct Service (i.e. providing volunteers to existing organizations) was only a small portion of AJLI’s vision and that there numerous other ways for leagues of all sizes to be catalysts of change in their community. Some of these include Public Advocacy, Grant Making, Capacity Building and Coalition Building. The sessions included very clear and focused instruction on how to develop strategies in each of these service areas for leagues that are looking to expand upon their existing direct service tasks. Jillian is excited to share what she learned with the Community Leadership team and looks forward to seeing how these strategies can be used as we begin working with our new IBCI-based Signature issues of Childhood Literacy and Women’s Health. 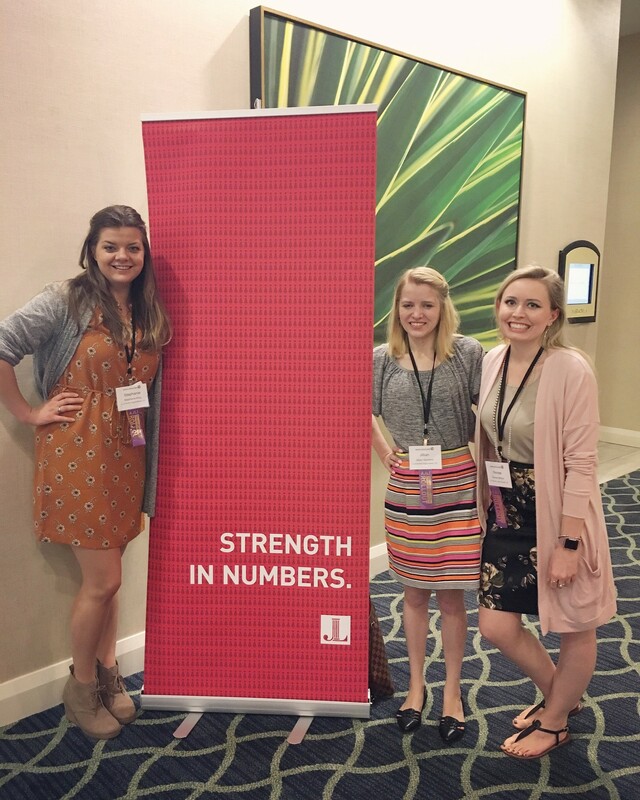 Jointly, Stephanie, Renee, and Jillian attended plenary sessions that touched on Making AJLI Resources Work for Your League and Diversity & Inclusion. They also had the opportunity to meet league delegates from around the country and globe during a Mix & Mingle Reception and heard from keynote speaker the Honorable Glenda E. Hood during a Celebrating Leadership luncheon. Finally, the ladies set up a small networking dinner with other Virginia leagues, including JL Northern Virginia and JL Richmond. All in all, it was a fabulous weekend full of learning and engagement and the ladies are very thankful for the opportunity to represent JLNVB.